This morning ITAR-TASS reports that fourth generation Borey-class SSBN Yuriy Dolgorukiy is at sea for testing. This is the boat’s first underway period of 2011. At the close of last year’s Arctic navigation season, Dolgorukiy returned to the hall at Sevmash, where it was prepared for the concluding phases of its state underway testing. 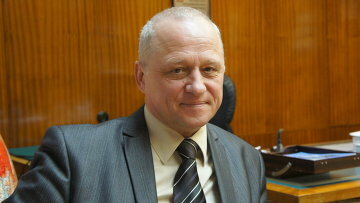 Sevmash says the submarine should be officially handed over to the Navy within the next few months. Recall the Russian press reports that modified Typhoon SSBN Dmitriy Donskoy will be the launch platform for this year’s first Bulava SLBM test. 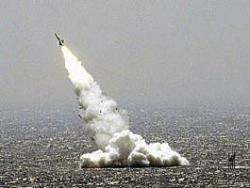 A Defense Ministry source tells RIA Novosti that Bulava SLBM testing will resume between 15 and 17 June. The test launch will come from modified Proyekt 941U SSBN Dmitriy Donskoy, though the source claims Borey-class SSBN Yuriy Dolgorukiy is ready to fire the missile. Recall that Proyekt 955 Dolgorukiy was back at Sevmash for work this winter. The source says the first launch from Dolgorukiy will come after two successful firings from Donskoy. Bulava now has 7 reported successes in 14 tries. There will be 4-5 tests in 2011. If they are successful (and at least a couple come from Dolgorukiy), the SLBM and its intended submarine will be accepted into the Navy inventory. And serial production of Bulava will ramp up. If they aren’t, the naval strategic modernization effort will find itself back where it was prior to two successful launches last October. But the Russians seem pretty confident this time around. Submarine-related news notes . . .
Russian press services have announced that the state commission on the Bulava has finished analyzing the results of the last two launches. The next test will be in the second half of December, and the exact date will depend on White Sea weather conditions. It’s pretty, but not absolutely, certain that new Borey-class SSBN Yuriy Dolgorukiy will be the launch platform. The final decision on this will be made in the first ten days of December. One supposes another shot from Dmitriy Donskoy remains a remote possibility. If the pending launch is a success, the next phase of testing will begin in May 2011. Regarding fourth generation (proyekt 885, Yasen) SSN Severodvinsk, the boat is still fitting out, and the Navy expects it to join the fleet in 2011. Like Dolgorukiy, Severodvinsk was under construction for many years. ITAR-TASS said this morning 6 of these submarines are now planned. At 0510 MSK today, Dmitriy Donskoy successfully launched the second Bulava SLBM of 2010 while submerged in the White Sea. That makes two in a row, and 7 successes in 14 attempts overall. A member of the state commission that investigated the Bulava failures told RIA Novosti that these successes show Bulava had assembly problems. And he said testing will continue in 2011. RIA Novosti noted that, perhaps most significantly, this year’s Bulava tests came from a submerged boat. In 12 tests prior to 2010, there had not been a single successful underwater launch.